The Fairies Nest - OOAK Cloth Dolls & Fiber Fantasies: Witches Three! I'm throwing your name in the hat 3 times. The wee witches are perfection incarnate. Well done! Really cute kitchen witches, I have a few in my kitchen, they really help me from burning dinner. It is so nice to see that you make these, just love it!!! I really enjoy your work. The witches are stunning. Great job! Wow-- they're beautiful!!! I love your dolls. Your witches are incredible. 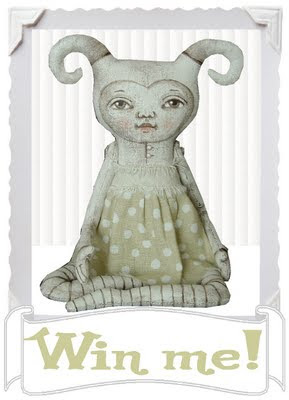 One day, I must have a fairiesnest doll....just for me! Sigh....I love your little witch dolls. Always have, always will. total niedlich, ich bin ganz begeistert!